New York – This year’s Stars in the Alley will take place on Friday, June 3 at 12:30 to 2:30 pm in Broadway’s legendary Shubert Alley, west of Seventh Avenue between 44th & 45th streets (rain or shine). Stars in the Alley is a free outdoor concert with live music, produced by the Broadway League and sponsored by United Airlines, that celebrates the end of the 2015-2016 Broadway season and adds to the festivities leading up to the 2016 Tony Awards.® The event will consist of performances from this season as well as numbers from current long-running shows. For Broadway information in NYC as well as for shows on tour across North America and internationally, visit Broadway.org. The American Theatre Wing’s 70th Annual Tony Awards® will air on the CBS Television Network on Sunday, June 12, 2016 (8-11pm ET/delayed PT) live from the Beacon Theatre in New York City, hosted by Tony Award-winner James Corden. The Tony Awards, which honors theatre professionals for distinguished achievement on Broadway, has been broadcast on CBS since 1978. The Tony Awards are presented by The Broadway League and the American Theatre Wing. NYC & Company, New York City’s official destination marketing organization, encourages theatergoers to purchase NYC Off-Broadway Week tickets, on sale beginning today at 10:30 a.m. As part of the biannual program, two-for-one tickets are available to 34 productions from February 1–14. To purchase tickets and for additional details, visit nycgo.com/offbroadwayweek. First launched in February 2009, Off-Broadway Week is produced and presented by NYC & Company in partnership with the Mayor’s Office of Media and Entertainment and The Off-Broadway League. NYC Off-Broadway Week is featured as part of Unlock NYC, NYC & Company’s new year-round seasonal campaign, with the first iteration focusing on winter travel. To unlock fun facts behind some of Off-Broadway Week’s participating shows, visit nycgo.com/unlock. Tickets have just gone on sale for NYC Broadway Week where you can purchase two-for-one tickets to 27 of Broadway’s top shows at nycgo.com/broadwayweek for performances January 19–February 5. Theatergoers also can enter the Official NYC Broadway Week Sweepstakes, powered by Audience Rewards, for the opportunity to win dinner at Ocean Prime and tickets to a Broadway show of their choice for the winner and five friends. NYC Broadway Week is featured as part of Unlock NYC, NYC & Company’s new year-round seasonal campaign utilizing the tagline “Find a Winter Less Ordinary.” You can discover fun facts behind some of Broadway Week’s best shows at nycgo.com/unlock. Since its launch in January 2011, NYC Broadway Week has cumulatively sold 712,532 tickets, generating $47.4 million in revenue for Broadway. NYC Broadway Week is produced by NYC & Company in partnership with American Express, Amtrak®, Audience Rewards, The Broadway League, NBC 4 New York, New York City Mayor’s Office of Media and Entertainment, Telecharge and Ticketmaster, and with support from AARP. New York, NY — The holidays are a perfect time to see a show. Broadway performs every day of the week at multiple curtain times to accommodate every schedule, including holidays. During Thanksgiving and Christmas weeks, some shows are changing their performance schedules. Alternate curtain times – including special matinees and evening performances – provide a variety of opportunities to better accommodate the changing schedules of theatregoers throughout holiday weeks. Some shows will play on Thanksgiving Day, and many shows will play Friday matinees that week. During Christmas week, in addition to some Christmas Eve and Christmas Day performances, alternate curtain times include Sunday matinees and evening performances. Check Broadway.org to see the holiday performance schedules and easily find out where and when shows are playing. 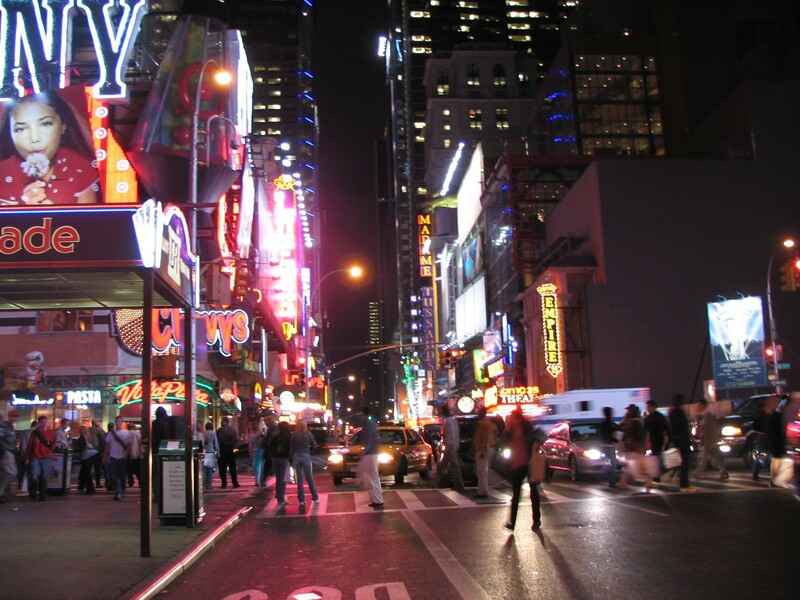 BROADWAY.ORG is the official one-stop destination for Broadway tickets and information in New York City, across North America, and internationally. 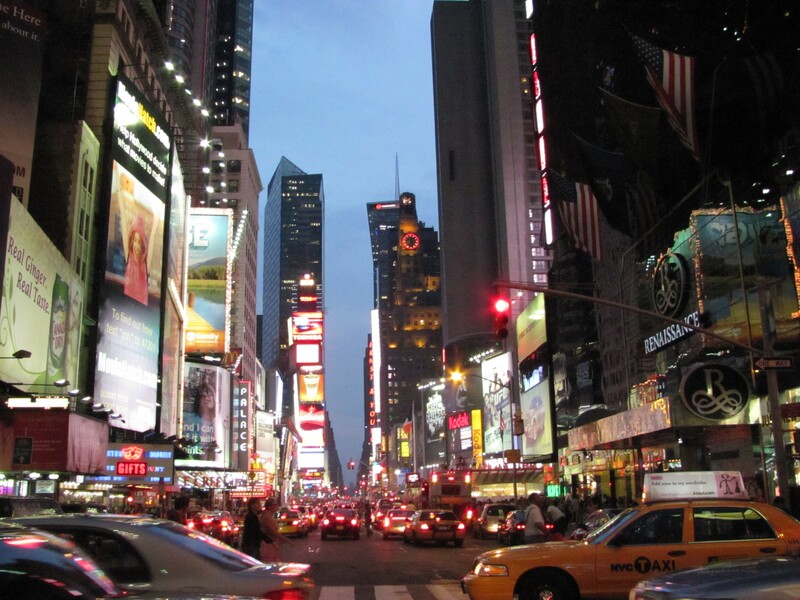 The site provides up-to-date show and theatre information in eight languages, a guide to hotel and dining options in Manhattan’s Theatre District, and general information about Broadway theatre-going. It provides access to show tickets at all price points to current and upcoming shows, direct from the theatres’ official ticketing offices. BROADWAY.ORG features a deep integration between the New York City and touring shows. Site users can locate theatres across North America where Broadway shows are playing, and link to their official sites for more information. If they are on the page for a Broadway show, they will also be able to easily view its upcoming tour stops both in North America and internationally; and when on the page for a show on tour, will be able to see that it is also playing in New York and get information on that production. London has its own information page and the listings are highlighted on the international page and the international tab on the show pages. The website includes an associated mobile site and mobile apps for iOS and Android. The Public Theater is offering free performances for the community-based Public Works production of Homer’s THE ODYSSEY, conceived and directed by Public Works Director Lear deBessonet, with music, lyrics and book by Todd Almond, beginning Friday, September 4. This original musical adaption, in which community players join professionals, will run for four nights only through Sunday, September 7 at the Delacorte Theater in Central Park. Free tickets will be distributed, two per person, at noon on the day of the show at the Delacorte Theater and via the Virtual Ticketing lottery at www.publictheater.org. The show features professional actors along with over 200 community members, sharing the stage. The event also features a gospel choir; a dance troupe; Flamenco Vivo Carlota Santana II; a marching band; the New York Youth Symphony; and TADA! Youth Theater. Now in its third year, Public Works annually creates ambitious works of participatory theater in partnership with community organizations from all five boroughs of New York City. This year the grand trilogy continues with Obie Award-winning director Lear deBessonet and lyricist/composer Todd Almond, the team behind the acclaimed Public Works productions of The Tempest and The Winter’s Tale, creating a breathtaking new musical adaptation, THE ODYSSEY. Inspired by the historical pageantry movement of the early 1900s—known for blending mass spectacle with community engagement—this latest work in deBessonet and Almond’s three-part cycle reimagines the Greek epic with Public Works’ signature blend of professional actors, community members and special guests. Man-eating Cyclops, a sorceress that turns sailors to beasts, and the deadly sweet song of the Sirens explode onto the stage with spectacular dance numbers in this joyful, larger-than-life musical about finding your way home—no matter where fate may lead you. This adaptation of THE ODYSSEY, conceived and directed by deBessonet, first premiered at The Old Globe in San Diego in 2011. THE ODYSSEY features equity actors Todd Almond (Singer); Brandon Victor Dixon (Odysseus); Andy Grotelueschen (Cyclops); Karen Olivo (Penelope); and Lucas Caleb Rooney (Antinous); along with cameo group performances by The Bobby Lewis Ensemble; The D.R.E.A.M. Ring; Flamenco Vivo Carlota Santana II; The Marching Cobras; The New York Youth Symphony; TADA! Youth Theater and NYC bikers from Old Bones, N.Y.C. Fire Riders, and MLC Crew Riding Club. The five Public Works community partner organizations are Children’s Aid Society (Manhattan); DreamYard Project (Bronx); Fortune Society (Queens); Brownsville Recreation Center (Brooklyn); and Domestic Workers United (all boroughs, including Staten Island). DeBessonet is the recent recipient of two prestigious awards in 2015: the Doris Duke Impact Award, part of the Doris Duke foundation’s 10-year initiative to empower, invest and celebrate artists; and the Peter Zeisler Memorial Award, presented at the Theatre Communications Group conference in June, which recognizes an individual or organization whose work reflects and promotes the ingenuity and artistic integrity prized by Peter Zeisler, late executive director of TCG. The honorees exemplify pioneering practices in theatre, are dedicated to the freedom of expression and are unafraid of taking risks for the advancement of the art form. THE ODYSSEY features scenic and lighting design by Justin Townsend; costume design by Paul Carey; sound design by Acme Sound Partners; wig and make-up design by Dave Bova; and choreography by Lorin Latarro. Tickets to THE ODYSSEY are free, continuing The Public Theater’s long-standing tradition of free programming and community engagement. Since the opening of the Delacorte in 1962, more than five million people have enjoyed more than 150 free productions of Shakespeare and other classical works and musicals at The Public’s Central Park venue. Free tickets will be distributed, two per person, at 12:00 p.m. on the day of the show at the Delacorte Theater. Free tickets will also be available via the Virtual Ticketing lottery at www.publictheater.org on the day of the performance. You may become a Summer Supporter for a $75 tax-deductible donation and receive a reserved seat to the event. For information and to donate, call 212-967-7555. Lead support for Public Works is provided by The Andrew W. Mellon Foundation, Ford Foundation, New York City Theater Subdistrict Council, The Tow Foundation, and The Stavros Niarchos Foundation. Additional support is provided by the New York Community Trust, New York State Regional Economic Development Council, David Rockefeller Fund, and Robins, Kaplan, Miller & Ciresi, LLP. Special thanks to The Philip and Janice Levin Foundation’s leadership support for The Public’s year-round access and engagement programming. PUBLIC WORKS is an ongoing initiative of The Public Theater that seeks to engage the people of New York by making them creators and not just spectators. PUBLIC WORKS deliberately blurs the line between professional artists and community members, creating theater that is not only for the people, but by and of the people as well. Working deeply with partner organizations in all five boroughs, PUBLIC WORKS invites members of diverse communities to participate in workshops, take classes, attend performances at The Public, and, most importantly, to join in the creation of ambitious works of participatory theater. PUBLIC WORKS is founded on a 360° transformational experience of theater: making theater, seeing theater, discussing theater. The five community partner organizations that have worked with The Public for the first two years of PUBLIC WORKS have taken part in the full range of Public Theater programming, including Joe’s Pub, Shakespeare in the Park, Public Forum, and the Mobile Shakespeare Unit. Additionally the Public Works family gathers for monthly potluck dinners and ongoing intergenerational activities. BROWNSVILLE RECREATION CENTER (Brooklyn) is a branch of the New York City Parks Department. With extensive resources for youth and seniors, the center offers a vibrant space to tap into pursuits artistic and athletic alike. Over the course of three years partnering with Public Works, senior citizens participated in dance, theater, storytelling, and scene study classes led by Public Theater teaching artists. 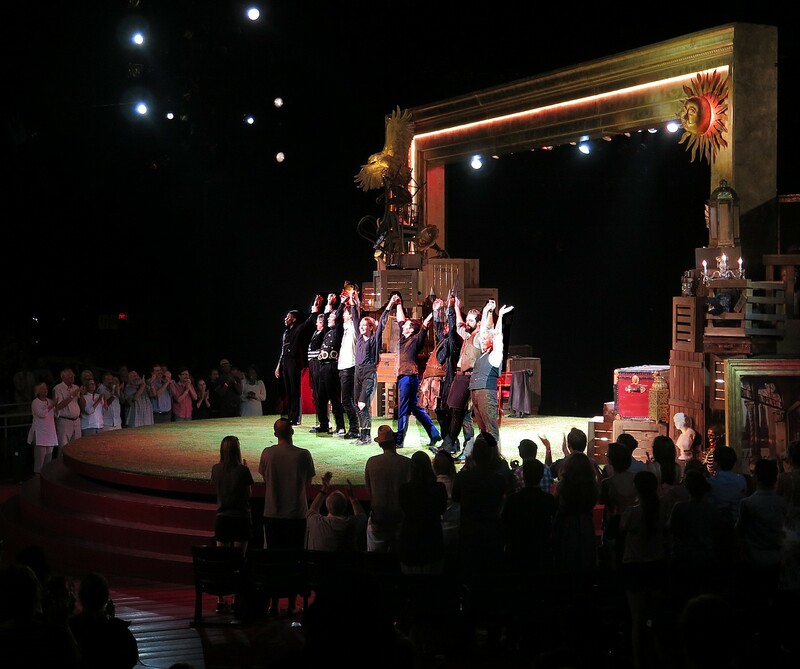 The group has performed featured dances in both The Tempest and The Winter’s Tale at the Delacorte Theater. The seniors also performed various pieces they’ve developed in classes many times at The Public Theater and the BRC. In the spring of 2015, the center hosted the first ever Public Works Palooza, featuring community performances from all the Public Works partner classes, including their own adaptation of Steel Magnolias. The Brownsville Recreation Center received the Mobile Shakespeare Unit tours of Richard III (Summer 2012), Much Ado About Nothing (Fall 2013), Pericles (Fall 2014), and Macbeth (Spring 2015). THE CHILDREN’S AID SOCIETY (Manhattan) helps children in poverty to succeed and thrive by providing comprehensive support and critical services to children and their families in targeted high-needs New York City neighborhoods. As part of Public Works, the Children’s Aid Society Chorus (a group of teenage girls led by Kelly Campbell) attended shows at Joe’s Pub, attended regular Public Theater performances, and received master classes in singing, songwriting, movement, and acting. The chorus performed various songs they’ve developed in classes many times at The Public Theater and other events. In 2015, Public Works also partnered with the CAS Deaf and Hard of Hearing Teen program, where deaf and hard of hearing youth studied the intersection of Shakespeare poetry and sign language. Their work culminated in a community performance of excerpts from Romeo and Juliet. DREAMYARD PROJECT (Bronx) was recognized by President Obama with a 2012 National Arts and Humanities Youth Program Award. The organization provides transformative arts education for youth in the Bronx through school-based and out-of-school programs and supports young people as they work toward higher learning, meaningful careers and social action. As part of Public Works, DreamYard youth participate in workshops and intensives in performing Shakespeare, and in generative movement led by artists from The Public, along with attending performances in The Public’s season. The parents of DreamYard students also participate in weekly Shakespeare scene study classes led by Public Theater artists. The group has studied, rehearsed and performed scenes from Hamlet and Julius Caesar. This group has performed excerpts from both plays multiple times at The Public Theater, the DreamYard Art Center, and other partner sites. The DreamYard Project received the Mobile Shakespeare Unit tours of Much Ado About Nothing (Fall 2013), Pericles (Fall 2014), and Macbeth (Spring 2015). DOMESTIC WORKERS UNITED (all boroughs, including Staten Island) is a city-wide organization of Caribbean, Latina and African nannies, housekeepers, and elderly caregivers in New York, organizing for power, respect, and fair labor standards, and to help build a movement to end exploitation and oppression for all. As part of Public Works, members have read and discussed dozens of plays in a monthly play reading and luncheon group. Plays have included Eurydice, For Colored Girls…, A Raisin in the Sun, Antigone, The House of Bernarda Alba, Mother Courage and Her Children, and many others. Members also attend regular performances at The Public. FORTUNE SOCIETY (Queens) is a nonprofit social service and advocacy organization, founded in 1967, whose mission is to support successful reentry from prison and promote alternatives to incarceration thus strengthening the fabric of their communities. Drawing upon the life experience of Fortune’s formerly incarcerated staff and clients, they offer a holistic, “one-stop” model which includes: alternatives to incarceration, counseling, career development, education, housing services, HIV/AIDS-case management, substance abuse treatment, family services, and lifetime aftercare, among other services. As part of Public Works, members participate in a full year of classes in playwriting, acting, improvisation, storytelling, clown, and production. The Fortune Tellers, the group that has emerged from these classes, has performed their original pieces many times at The Public Theater, the Fortune Society campuses, and other partner sites. The Fortune Society received the Mobile Shakespeare Unit tours of Richard III (Summer 2012), Much Ado About Nothing (Fall 2013), Pericles (Fall 2014), and Macbeth (Spring 2015). LEAR deBESSONET (Public Works Director/The Odyssey Director) directed the previous free Public Works productions of The Winter’s Tale and The Tempest, and has created large-scale theatrical events pairing artistic excellence with community organizing in New York, Philadelphia, San Diego, and Kazakhstan. Her previous large-scale community projects include The Odyssey at the Old Globe (2011) and her site-specific Don Quixote, a collaboration with homeless shelter Broad Street Ministry and the punk-gypsy ensemble The Psalters (2009). Her additional recent work includes Good Person of Szechwan featuring Taylor Mac for The Foundry Theatre at LaMaMa and The Public Theater (Obie Award, Drama Desk nom., Lilly Award, Lortel Award for Best Revival). She has directed shows for City Center Encores! Off-Center, LCT3, the Old Globe, the Intiman, the Guthrie, Joe’s Pub, Women’s Project, Performance Space 122, 13p, and Clubbed Thumb. For Ten Thousand Things in Minneapolis, she has directed productions of My Fair Lady, As You Like It, and The Music Man that toured to prisons, community centers, and homeless shelters. Recipient of the Doris Duke Impact Award, TCG’s Peter Zeisler Award, the Meadow’s Prize, and LMCC’s Presidential Award for Artistic Excellence, she has also acted as a visiting professor at NYU-Tisch School of the Arts. LORIN LATARRO (Choreography) choreographed Broadway’s Waiting For Godot with Sirs Patrick Stewart and Ian McKellen, Ira Glass’s This American Life at BAM for Michael Mayer and Lin-Manuel Miranda, Peter and The Wolf at BAM, Beaches the Musical (Drury Lane), Jasper In Deadland, and Encore’s Fanny. Broadway’s Curious Incident…, American Idiot and The Met Opera’s Rigoletto (Associate to Michael Mayer and Steven Hoggett), Cy Coleman’s The Best Is Yet To Come (Drama Desk Award), Hands On A Hard Body (Associate to Sergio Trujillo). Latarro is an Artistic Associate for Robyn Goodman at Bucks County Playhouse and has starred in 14 Broadway shows. ANDY GROTELUESCHEN (Cyclops) has been seen on Broadway in Cyrano de Bergerac and in the Fiasco Theater’s The Two Gentlemen of Verona; Measure for Measure; Into the Woods (Lucille Lortel Award Nomination); Twelfth Night; and Cymbeline. His New York and regional credits include work at Theatre for a New Audience, New Victory, The Guthrie Theater, The Acting Company, Trinity Repertory Company, Yale Repertory Theatre, American Repertory Theater among others. His film and television credits include Geezer, Still on the Road, Tumorhead, “Elementary,” “The Good Wife,” and “The Knick.” He is a graduate of the Brown/Trinity M.F.A. Acting Program, and a Fiasco Theater company member. FLAMENCO VIVO CARLOTA SANTANA II is one of America’s premier Spanish dance companies, dedicated to the belief that the universal spirit of flamenco, a multicultural art form, has the power to build bridges between cultures. Their mission includes raising public awareness of flamenco as an integral part of Hispanic heritage, creating and presenting new works and nurturing the next generations of flamenco artists. Founded in 1983, the company tours extensively nationwide, and serves New York audiences with an annual home season. Flamenco Vivo Carlota Santana II is known for its innovative performances, community programs (including an annual “Flamenco in the Boros” tour which brings free performances to new audiences) and high-quality arts education projects in public schools. Flamenco Vivo also operates the Center for Flamenco Arts, one of only two NYC dance studios dedicated to the specific requirements of flamenco, and produces the NYS Flamenco Certamen, a competition for pre-professional dancers. THE MARCHING COBRAS is New York’s most exciting youth non-profit organization and has performed for the NFL Superbowl 48, and in the Oscar-winning 2015 movie, Birdman starring Michael Keaton and Emma Stone. The Marching Cobras perform in many parades in many cities and feature the beautiful Sapphire Danceline. The Marching Cobras is offered to all communities in New York City and is currently a year-round program. This summer they will take part in the 2015 Steve Harvey Awards in Atlanta, GA. The program open to ages 10 and up. For more information, visit www.marchingcobrasny.org. THE NEW YORK YOUTH SYMPHONY is the most awarded youth program of its kind in the nation, recognized for its innovative, tuition-free educational programs for talented young musicians. Founded in 1963 as an orchestra to showcase the metropolitan area’s most gifted musicians ages 12-22, its activities have since grown to encompass programs in chamber music, conducting, composition, and jazz, with performances at world class venues including Carnegie Hall and Jazz at Lincoln Center. Through its commissioning program, First Music, the NYYS has commissioned over 100 works from young composers since 1984. The careers of world-renowned conductors, musicians, and composers have been assisted by their experiences with the New York Youth Symphony. Former music directors and program alumni include Leonard Slatkin, Myung-Whun Chung, David Alan, Miguel Harth-Bedoya, Marin Alsop, Gary Levinson, Michael Tiscione, Lawrence Dutton, Kenneth Mirkin, Joel Smirnoff, and Pedro Diaz among many others. TADA! YOUTH THEATER. Celebrating 30 years, TADA! – the first youth theater to win a Drama Desk Award – is one of NYC’s leading producers of high-quality musical theater productions performed by NYC’s talented kids and teens for family audiences; as well as Arts Education residencies, classes and camps. TADA! 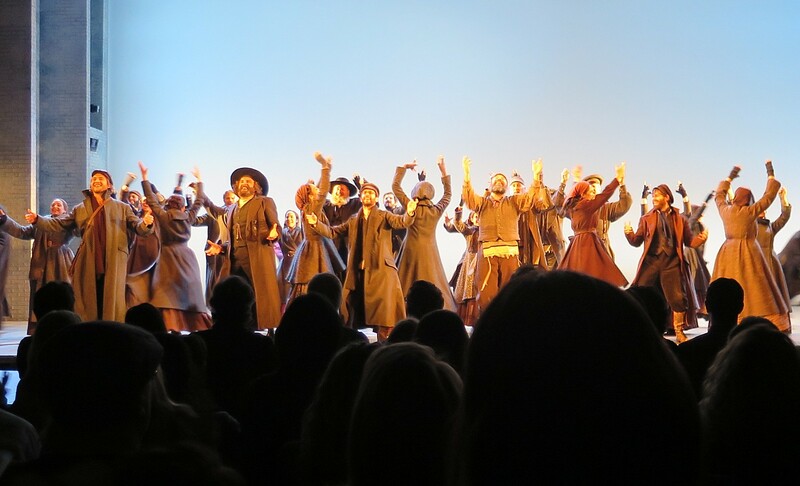 has produced 79 mainstage musicals for over 150,000 audience members, and has reached 750,000 kids in arts education and theater programs in and out of school. TADA!’s programs – which reach 30,000 people annually – provide a safe and creative place for kids and teens to grow emotionally, intellectually and socially through musical theater. At the heart of TADA! is the Resident Youth Ensemble Program, a unique, completely free, pre-professional program, which annually serves 80 talented children aged 8-18 from all different backgrounds. Once accepted, members receive free training and perform in all of TADA!’s mainstage productions and special events. Under the leadership of Artistic Director Oskar Eustis and Executive Director Patrick Willingham, The Public Theater is the only theater in New York that produces Shakespeare, the classics, musicals, contemporary and experimental pieces in equal measure. The Public continues the work of its visionary founder, Joe Papp, by acting as an advocate for the theater as an essential cultural force, and leading and framing dialogue on some of the most important issues of our day. Creating theater for one of the largest and most diverse audience bases in New York City for nearly 60 years, today the Company engages audiences in a variety of venues—including its landmark downtown home at Astor Place, which houses five theaters and Joe’s Pub; the Delacorte Theater in Central Park, home to its beloved, free Shakespeare in the Park; and the Mobile Unit, which tours Shakespearean productions for underserved audiences throughout New York City’s five boroughs. The Public’s wide range of programming includes free Shakespeare in the Park, the bedrock of the Company’s dedication to making theater accessible to all; Public Works, a new initiative that is designed to cultivate new connections and new models of engagement with artists, audiences and the community each year; new and experimental stagings at The Public at Astor Place, including Public Lab; and a range of artist and audience development initiatives including its Public Forum series, which brings together theater artists and professionals from a variety of disciplines for discussions that shed light on social issues explored in Public productions. The Public Theater is located on property owned by the City of New York and receives annual support from the New York City Department of Cultural Affairs; and in October 2012 the landmark building downtown at Astor Place was revitalized to physically manifest the Company’s core mission of sparking new dialogues and increasing accessibility for artists and audiences, by dramatically opening up the building to the street and community, and transforming the lobby into a public piazza for artists, students, and audiences. Key elements of the revitalization an expanded and refurbished lobby; the addition of a mezzanine level with a new restaurant lounge, The Library, designed by the Rockwell Group. www.publictheater.org.